Hardeep Singh is working as an Assistant Professor & the Head of the Training & Placement Department at Ferozepur College of Engineering & Technology (FCET), Ferozepur in Punjab (India). He is a life member of many national & international bodies like IAER, CSI, IACSIT, IEDRC, ASR MAG, APBITMS, IFRSA, ISTD, PCMA, IIEM, IETE, BPM & FSLE-India. He is an Academician, a Researcher, an Author, a Motivational Speaker and a Mentor. He has received numerous Awards from prestigious institutions of international repute and has been esteemed to deliver Key-Lectures/ Invited Talks/ Expert Lectures at various seminars and conferences at national/international level. He is a Gold Medalist and has published more than 100 papers in journals of national/international fame. He has authored two books published with International publisher (Titles of the Books are “Professional Soft Skills for Engineers” and “Marketing Strategies of Retail”). Other three books are under process coauthored with Dr. DP Kothari – a well known scientist, educationist and professor. He has also received “Best Young Teacher Award 2016”; “Best Young Researcher Award 2017” and “Republic Day Achievers Award 2018”. He has been invited as the Conference Chair with ‘International Conference on Computational Methods, Simulation and Optimization (ICCMSO 2018)’ June 22-24, 2018 to be held at Asian Institute of Technology Conference Center, Bangkok Thailand and ‘The 2018 World Congress in Computer Science, Computer Engineering & Applied Computing’ 30th July – 02nd August, 2018 to be held at Luxor (MGM), Las Vegas, USA. Constraint in space provides limited provision to enumerate his laurels as he is a genius person devoted devoutly to his academic pursuance. 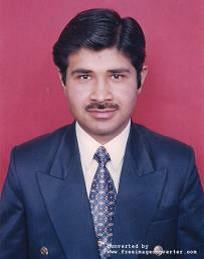 He has also been appointed as one of the Coordinators of FSLE-India for its Punjab Region. EFSLE© 2019. All Rights Reserved.